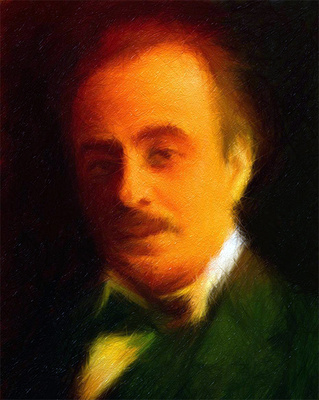 Khalil Gibran, born 6 January1883, is one of the most quoted prose poets, especially his 1923 work The Prophet. In The Prophet, we are told that Almustafa, a holy man, has been living in exile, in a city called Orphalese for twelve years. A ship is coming to take him home to the island of his birth. People gather and ask him for his final words of wisdom — on love, on work, on joy, on children. The book has become bedside reading for all those who consider themselves “spiritual but not religious”. But there is also an earlier Gibran writing in Arabic, a critic of the political and religious conditions of his day — a set of four short stories bound together as Spirits Rebellious. (1) Soon after the publication of the original Arabic version of Spirits Rebellious in 1908, considerable agitation developed. The book was publicly burned in the Beirut market place by Maronite Church and Ottoman State officials who judged it fiercely dangerous to the peace of the country. 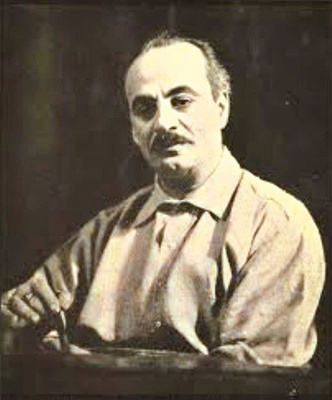 Gibran’s bitter denunciation of both religious and political injustice brought his anticipated exile from the country. As he was already living in Paris to study art at the time, it meant not returning to Lebanon rather than having to leave. However, he was also excommunicated from the Church, which can be considered serious in a country where much civil identity and justice was based on religious membership — not to mention the popular idea that God did not allow excommunicated souls into his Heaven. It was the short story “Khalil the Heretic” that set off the religious and political authorities. It is not easy when reading the story today, to see why the authorities got upset, but all book burning needs to be seen in the context of the day. Even today, writings or poems which would pass unnoticed in one country can provoke jail in another. So “Khalil the Heretic” is worth reading today, both as an example of the early Arabic writing of Gibran and of what attacks on church and state at the same time may cost. It is better to attack one at a time, not both together. Khalil “The animals have their caves, and the birds of the sky their nests, but the son of man has no place to rest his head”. By the time Khalil Gibran died in 1931, he had lived most of his life in the USA in Boston and then New York, and wrote in English. The Prophet had been first published in 1923 and has always remained in print — read at countless weddings and funerals and translated into some 50 languages. By 1931, the Ottoman Empire had been broken, and Lebanon was part of greater Syria. Gibran had been taken back into communion with the Maronites who did not want to leave the best-known Lebanese poet out in the cold. But Gibran was never a very orthodox Catholic. He was attracted to the person and sayings of Jesus but not to the organization. He had a knowledge of Arabic Sufi literature. He also knew Buddhist literature and appreciated it for the same reason: useful advice on how to live.